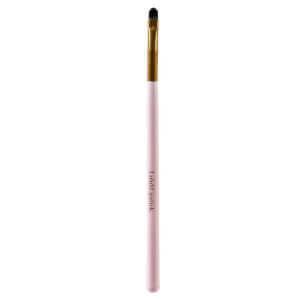 Lulu's signature brushes are made from the highest quality fibres and a 100% vegan and cruelty free. 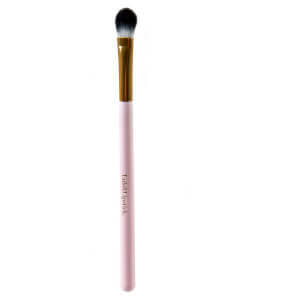 The range features gorgeous hot pink and pale pink brushes with gold accents as well as a lilac powder brush. Create the perfect smokey eye with a great range of eye brushes including fluffy blending brushes and firm oval brushes and change the shape of your face with angled face brushes, stippling brushes and the softest powder brushes. It's no wonder these brushes found their way into the 2016 Oscars gift bags where they fell into the hands of favourite celebs Jennifer Lawrence, Cate Blanchett and more! Lulu and Lipstick will have you oozing with elegance and sophistication. Your new brushes will stand alone on your dresser as gorgeous accessories and are the perfect travel companions with coordinating travel brush roll and bag. The Lulu range doesn't stop just at brushes - the eyelash curlers were made to dazzle! Available in rose gold and gold, covered in diamantes this is your makeup bags new best friend. POPSUGAR "This 12 piece brush set has everything you need to put on a perfect face. They're uber soft and blend and buff creams, liquids and powders onto the skin with ease. The bright pink case also looks great among your other beauty essentials!" SHE'SAID' "Lulu & Lipstick is like the beauty world equivalant of a candy shop." STYLE MAGAZINE "If your makeup brushes are a little worse for wear and you can't decide which you can afford to replace first - problem solved. 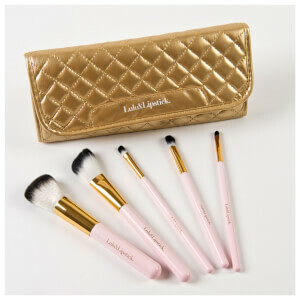 You can replace them all at once with this cute 12 piece brush set from Lulu & Lipstick." WOMAN'S DAY "We're loving Lulu & Lipstick 12 piece brush set!"